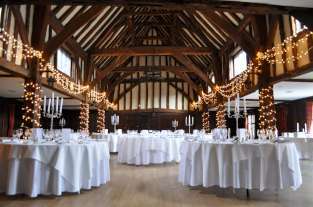 The beautiful Tithe Barn at Great Foster’s, Egham is one of our favourite venues. Superb staff and a location steeped in history make this a polished and elegant choice for a wedding. 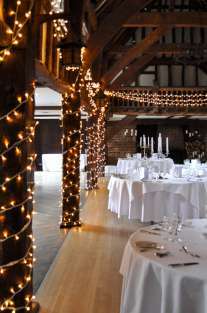 The barn works brilliantly with fairy lights, which make the large space warmer and more intimate.